REGINA - Saskatchewan is expanding the use of stun guns, allowing every municipal police officer across the province to carry them. The Saskatchewan Police Commission said Monday it knows Tasers are potentially dangerous, but they are also effective in the right circumstances. "The approval and the policy for use includes strict controls, training standards and accountability requirements, including a post-use review each time a Taser is deployed," said commission chairman Paul Korpan. "The commission's decision only authorizes the use of Tasers in situations where there is imminent and high risk of bodily harm to officers or the public and where other use of force options would be ineffective or inappropriate." Previously only police tactical team members could carry the weapons in Saskatchewan. RCMP officers have been allowed to carry them as they are not governed by the Saskatchewan Police Commission. Tasers fire a jolt of electricity that can incapacitate a person. A public inquiry in British Columbia found that more than 25 people have died in Canada after police used the weapon. The Saskatchewan Federation of Police Officers, which represents more than 1,250, said it's happy Tasers have been approved. Federation president Evan Bray said every situation is different and it will be up to officers to determine where the line is between reaching for a Taser or a gun. "If you've got someone who's holding a metal pipe versus someone that's holding a shotgun, that might articulate a different decision-making process for the officer," said Bray. "Not to get too deep into our firearm training, but the distance between us and the individual, what is behind the individual, is very much a consideration when you're thinking about using a firearm. So again, a Taser is a lower level use of force option that our officers will now be able to access and utilize." Officials said it will likely be months before Tasers are rolled out across the province and that everyone who is Tasered will also get medical attention. The commission decision comes after a review that started in 2007. The review considered national guidelines for Taser use that were agreed to by federal, provincial and territorial justice ministers in 2010, as well as recommendations made at a public inquiry into the death of Robert Dziekanski, who died in October 2007 after four RCMP officers repeatedly stunned him with a Taser at Vancouver's airport. Thomas Braidwood, the former judge who oversaw a two-part public inquiry into Dziekanski's death and Taser use, concluded Tasers have the capacity to kill in certain situations, and he said they should be used far less often — only in cases involving bodily harm or the threat of bodily harm. Braidwood called for standardized training for police, who should be required to file detailed reports whenever a Taser is used on a person. Despite his concerns about Tasers, Braidwood's 2009 report also said the weapons are a valuable non-lethal alternative for police, and he argued society was better off with Tasers than without them. 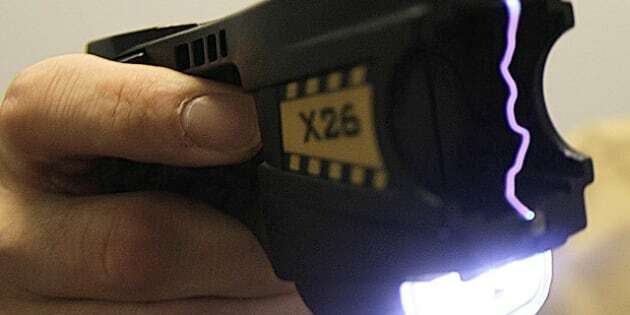 The Arizona-based manufacturer of Tasers went to court seeking to quash Braidwood's finding that the weapons can cause death. Taser argued Braidwood treated the company unfairly and ignored dozens of medical studies it provided. Taser called the decision by the Saskatchewan Police Commission great news. Steve Tuttle, the company's vice-president of communications, said every jurisdiction has to develop its own guidelines. "You want to have this well thought out, well-planned and with good oversight," Tuttle said of the Saskatchewan policy. "This sounds like a good mix for a successful program for us." Korpan said he "would not expect" an incident similar to what happened at the Vancouver airport under the new guidelines in Saskatchewan. "One can never discount the human element and the chance of error arising from the human element," he said. "You can draw your own conclusions from what happened in the Dziekanski matter. But something like that is not what we foresee happening provided our policy is followed, as we expect it will."